The Ramstrom Racing Team is gearing up for the season, with two cars prepped and ready to go, off to Speedway Expo located at the Big E in Springfield. This huge expo is the kick-off to racing. 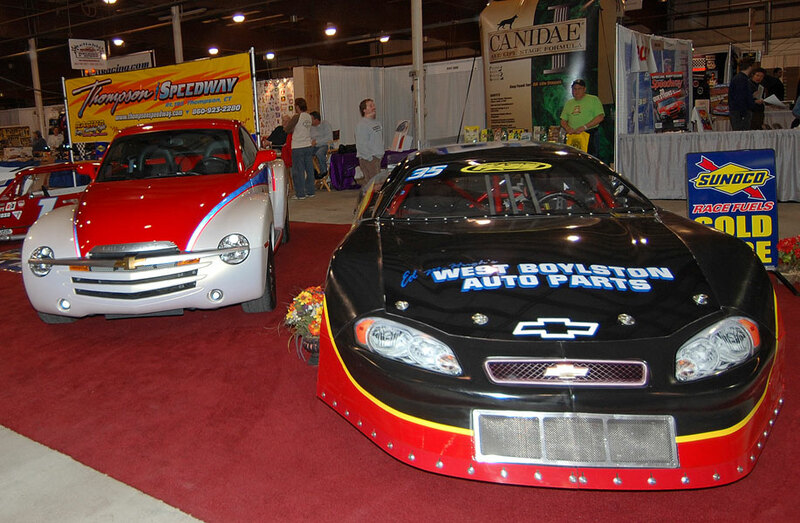 You will find every genre of motor sports, anything you cold imagine to purchase, plus a who’s who of racers. It has seminars, autograph sessions and this year they are hosting a Riverside Park reunion. Most race tracks up and down New England will be represented as well. The team has been working hard getting the Thompson Super Late Model and the PASS Super Late Model ready for the show. Derek and a good deal of the #35 team will be spending most of the weekend in Springfield. Derek can be found at the Thompson Speedway Booth handing out hero cards and stickers. Stop by and wish him well as he gears up for 2009. Derek would like to thank his sponsors for their continued support for the upcoming season. Please visit www.speedwayexpo.com for more information. CHARLOTTE, NC (January 6) - The Pro All Stars Series (PASS) and RaceTalkRadio.com are pleased to announce that "Live To PASS" will be returning to the airwaves for its second season in 2009. This year's first episode of "Live To PASS" will debut on Wednesday, January 7th with guests Derek Ramstrom, Dean Clattenburg, and Phillip Walker of the Piedmont Racing Expo. "Live to PASS" will continue in its present one hour format every Wednesday night throughout the 2009 racing season with hosts Dennis Michelsen and Alan Dietz. "We are really excited that "Live To PASS" will be back on RaceTalkRadio in 2009," said PASS President Tom Mayberry. "The show has proven to be an excellent forum for our drivers to talk directly to our fans and we feel it has been a great way for people to learn more about the PASS Super Late Models." "Live to PASS", along with a growing list of other programming, has made RaceTalkRadio.com the place to be for race fans looking to hear more about a variety of different motorsports. "2008 was a great year for RaceTalkRadio.com and "Live To PASS" was a big part of that," said Dennis Michelsen of RaceTalkRadio.com. "The show has really garnered a great following and we hope to continue to expand on that. We have more new shows coming and more live race coverage in addition to "Live To PASS" that should make 2009 our biggest season yet." The Pro All Stars Series is a Maine based Super Late Model series divided into two divisions, PASS North and PASS South. The PASS North Super Late Models compete on short tracks in New England and Canada, while the PASS South Super Late Models compete on short tracks in the southeastern United States. RaceTalkRadio.com is on the forefront of Internet racing radio with shows such as "Live To PASS", "ARCA Thunder", and "Speed 51 Radio." Additionally, RaceTalkRadio.com broadcasts live coverage of the Polar Bear 150, Carolina 500, Snowball Derby and will continue to grow its live coverage in 2009. The 10th Annual Busch Sport Scene Snowmobile Ride for Charity in Rangeley, ME on January 31, 2009 continues to draw interest from racers all over the northeast. Add Pro All Stars Series rising stars Derek Ramstrom and Adam Bates to the list of drivers making plans to attend the popular event. 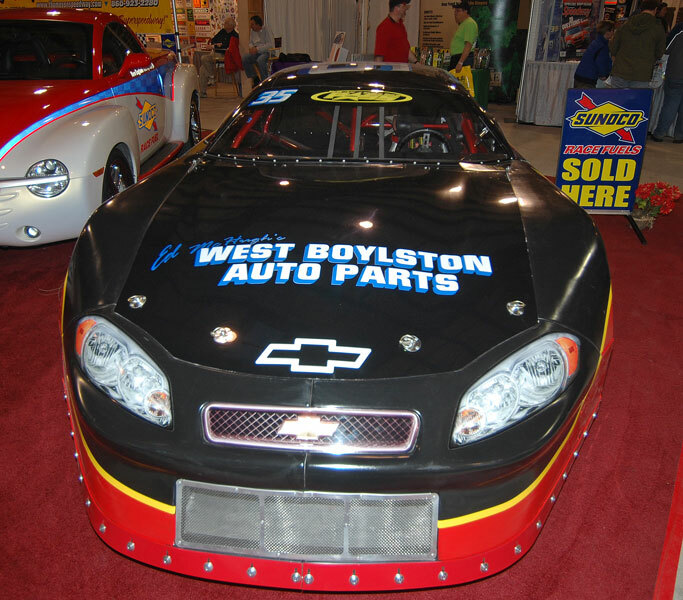 Ramstrom, who hails from West Boylston, MA, is a young racer with a very bright future in the sport. He began racing quarter midgets at just six years old. After winning several Quarter Midget NE Regional Championships, in 2006 Derek won the PASS Outlaw Late Models Combo Championship. In 2007 he moved into the PASS North Super Late Model where he excelled, scoring ten top ten finishes in his first season. 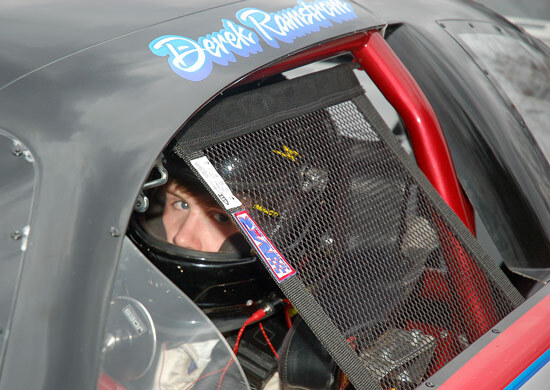 2008 was a break out season for Derek as he won his first PASS Super Late Model race. He finished 7th overall in the PASS North Super Late Model Division, finally getting the previously elusive win at All-Star Speedway. He scored 1 win, 2 Top 3s, 3 Top 5s, and 7 Top 10s in PASS competition. 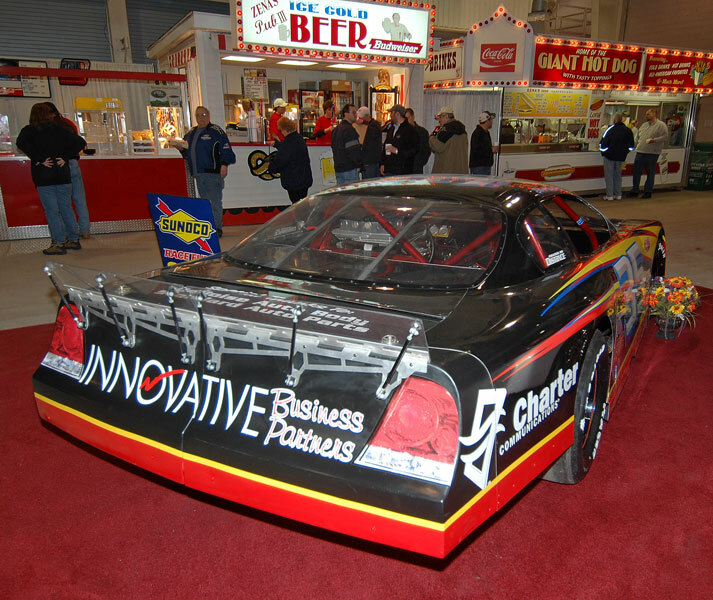 In 2008 Derek also raced Pro Stocks/Super Late Models at Thompson International Speedway, where he took the win at the Thompson World Series. He finished 5th in the divisional points, and scored 3 wins in a row during the season. New Hampshire native Adam Bates also had his career best year in 2008, scoring a pair of PASS Super Late Model wins in his first full season racing PASS. Adam finished fourth in PASS points after his nine top five and eleven top ten finishes during the season. His first win of the year came at Beech Ridge Motor Speedway in July while his second came in the season finale at Wiscasset Raceway in October. Bates started racing Go Karts at Sugar Hill Speedway were he was track champion 4 times between 1999 and 2003. 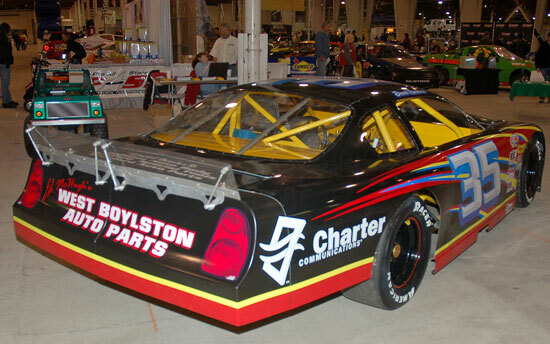 In 2004, he stepped up to full bodied stock cars at Canaan Speedway. In 2005 Adam moved into the Late Model division at Twin State Speedway where earned Rookie of the Year honors. Ramstrom and Bates will be joining many racers and teams from around the region at the Busch Sport Scene event, including 2008 NASCAR Camping World Series Champion Matt Kobyluck, who recently won the NASCAR Toyota All Star race in California. All NASCAR, PASS and ACT team members that participate in the event will receive a $5 discount on the ride/event pass that includes all the days events. The event includes a poker run snowmobile ride during the day followed by a full evening of entertainment. The evening's festivities will include a live auction loaded with lots of great sports memorabilia and racing related items and race tickets. The 2008 Busch Sport Scene Driver of the Year will be announced at the event and the popular Mainely Motorsports TV show will be on hand taping the days events. A comedy show featuring two nationally known comedians, Rob Steen & Larry Myles, will cap of the full day of events. The proceeds go to several charities including the Multiple Sclerosis Society, Maine Special Olympics, Travis Roy Foundation, Rangeley Snowmobile Club, Busch Sport Scene Scholarship Fund and the Camping World Series Women's Auxiliary and their various charities. Tickets will be $15 the day of the event. Busch Sport Scene is a New England based sports magazine. Current Busch Sport Scene subscribers will receive a $5 discount on the day of the event, as will NASCAR, PASS & ACT team members that present their licenses. For room availability or directions, you can call the Rangeley Chamber of Commerce at 1-800-MT-LAKES. For more details, or to become a part of the event or make a donation, please email at scene@neracing.com or call Busch Sport Scene at 1-207-224-2060. For more details, visit the www.neracing.com website. Derek and the Ramstrom Racing Team would like to extend a Happy New Year to all of our fans, sponsors, and fellow competitors. Derek is filling his time off with school and getting his adrenalin fix snow boarding at Mt. Wachusett every chance he gets. The recent snow has taken him off the mountain and into a plow truck, plowing for the state. Derek doesn’t seem to mind, at least he is behind the wheel of a vehicle. Thank you very much to all Derek’s supporters & we wish you a safe and happy holiday season. The Pro All Star Series (PASS) banquet was held at Verillo’s Conference Center in Maine last Saturday night. The Ramstrom Crew took the long two hour ride to honor Derek and the other North drivers. PASS President Tom Mayberry was first to speak, presenting several promoters awards, including Most Improved in all three divisions, Sportsmanship Awards, Rookie of the Year Awards and a lifetime achievement award. Tom also reviewed the 2008 season and touched briefly on some changes for the upcoming 2009 year. The podium was then turned over to PASS announcer/comedian Mark Thomas for the presentation of the top ten in the three divisions. Derek finished 7th overall in the Super Late Model Division, finally getting the elusive win at All-Star Speedway. Derek and the entire Ramstrom Team would like to extend a heart-felt congratulations to Johnny Clark and the #54 Clark’s Car Crushing Team for it’s third PASS Championship. Clark is a well-respected driver; he is always willing to help the less experienced drivers on the PASS Tour. Congratulations!